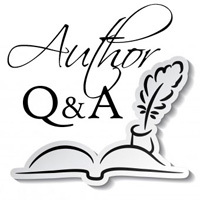 We are delighted to welcome author Erik Therme to Omnimystery News today. Erik's debut novel is titled Mortom (Thomas & Mercer; April 2015 trade paperback and ebook formats) and we recently had the chance to catch up with him to talk more about his work. Omnimystery News: Into which fiction genre would you place Mortom? Erik Therme: I believe an author should write the story they feel compelled to tell, regardless of the genre. Mortom began life as a horror story before eventually transmuting into a mystery, whereas my current "work in progress" is more action-driven and targeted toward young adults. Part of the joy of writing is being able to follow your imagination wherever it takes you, but at the same time, publishers need to market your work to a specific audience to be successful, and not focusing on a genre could prove problematic in the long run. ET: It always begins with an idea. If I'm lucky, the idea branches into a scene, and from there — a story. Sometimes that story can be molded into a novel. If that's the case, I push through the first draft without an outline, but I usually create a timeline and character sketches before the next draft. For the most part I try and let my characters do what they want, and they often surprise me and drive the story in unexpected directions. ET: Mortom is my first published work, so I had no idea what to expect when it came to the cover. A few months after acceptance, the publisher sent me four possible designs and asked for my feedback. Two were very generic, one I absolutely hated, but the last design blew me away. I relayed my thoughts to the publisher, and shortly thereafter they approved my selection with no further discussion. Needless to say, I was beyond relieved. ET: I continue to be amazed by how many readers comment on the antagonism between (siblings) Andy and Kate. Some love the dynamic, while others are confounded by it. Readers also regularly ask about a sequel. It was never my intent to continue the story, but if the book does well — and the publisher is interested — I would definitely be game to revisit the town of Mortom. No pun intended. OMN: When selecting a book to read, what do you look for? ET: I'll sample anything that looks interesting, but I tend to gravitate toward stories that are dark. My most recent reads have been When We Were Animals by Joshua Gaylord and Ugly Young Thing by Jennifer Jaynes. Both were excellent and kept me thinking long after I had finished the last page.